If you're a regular reader of the blog, you may remember a while back when I reviewed Balance Me's Super Moisturising Body Wash. I absolutely loved it, so naturally I had to give another of their body washes a try to review for you all. 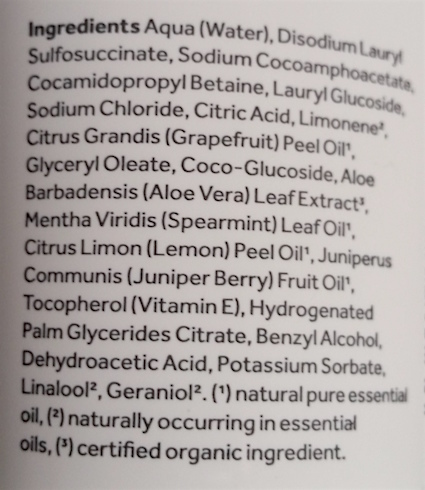 The Balance Me Revitalising Hand and Body Wash is a 99% natural cleanser that - in case it wasn't obvious in the name - is suitable as both a hand wash and a body wash. It claims to refresh, hydrate and soothe the skin, whilst the organic surfactants are gentle enough even for irritated skin. It has a zesty yet minty aroma that is beautifully unisex and uplifting, so it is perfect for everyone. 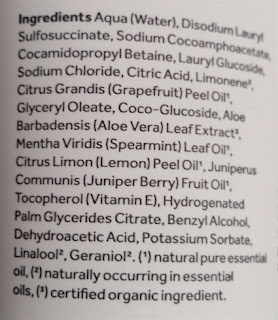 It comes packaged in different bottles that are dependent on the amount of product that you purchase. The bottle that I have is a 100ml squeezy white bottle with a screw cap lid. This is the type of bottle that you also get for the 30ml bottle, but if you buy the largest, 300ml size, you will get a pump lid for easy application. This type of bottle is also more handy if you primarily want to use it as a hand wash. The product itself is clear, thick gel. To start off, how nice is the packaging of this wash!? Not only that, but if you see the 300ml size it looks even better. It's one of those products that just looks great in any bathroom, along with the Hand and Body Lotion too. Moving on though, the first thing you get to experience with this Hand and Body Wash is that gorgeous fragrance. If you are a morning bath/shower person and are using this as a body wash, this is a lovely start to your day. It's uplifting and fresh, but not overly so. It's just the right sort of intensity scent wise that leaves a smile on your face but isn't dominating. The wash doesn't lather up an extreme amount, but it still spreads quite far across the skin. The reason for this is the lack of harsh surfactant such as SLS, so even though there is less foam, it is still cleaning the skin with a gentler cleanser. As a body wash, it is nicely hydrating, but not as moisturising as the Super Moisturising Body Wash (which is to be expected). I find this to be the perfect spring/summer variant for when you need something a little lighter. As a hand wash, this is great. The skin is left feeling clean and soft and thanks to the lack of harsh cleansers, it doesn't dry out the skin. It can be really annoying when your hand wash turns your skin dry, so this is definitely a solution to that problem. It's pretty easy to rinse off the skin too, so that is another plus. Overall, I am in love with this Hand and Body Wash. You guys know me, I love a multi-tasker, so a product like this fits nicely into my life. As I said above, this is the perfect spring/summer body wash to Balance Me's autumn/winter hero Super Moisturising Body Wash. It's another love and recommendation from me! Keep making those skincare heroes, Balance Me! You can purchase the Balance Me Revitalising Hand and Body Wash for £12.50/300ml from Look Fantastic. 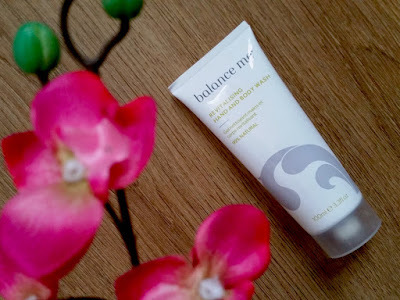 What are your thoughts on the Balance Me Revitalising Hand and Body Wash? What's your fave Balance Me product?